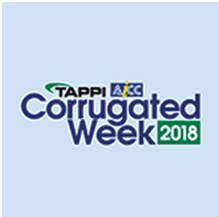 Michelman to Spotlight Recyclable and Repulpable Barrier and Functional Coatings at Corrugated Week 2018 | Industry Analysts, Inc.
CINCINNATI, OH (September 14, 2018) – Michelman, an industry leading innovator in the development of water-based barrier and functional coatings for corrugated, will highlight a recent technology innovation at Corrugated Week 2018. Michelman will exhibit in booth #639, and Dr. Molly Hladik, Technical Project Leader at Michelman will discuss its new DigiGuard® overprint varnish formulated for digital preprint applications. The show will take place September 24-27, 2018 at the Indiana Convention Center in Indianapolis, Indiana. This entry was posted in Uncategorized and tagged Michelman, repulpable by IA Staff. Bookmark the permalink.